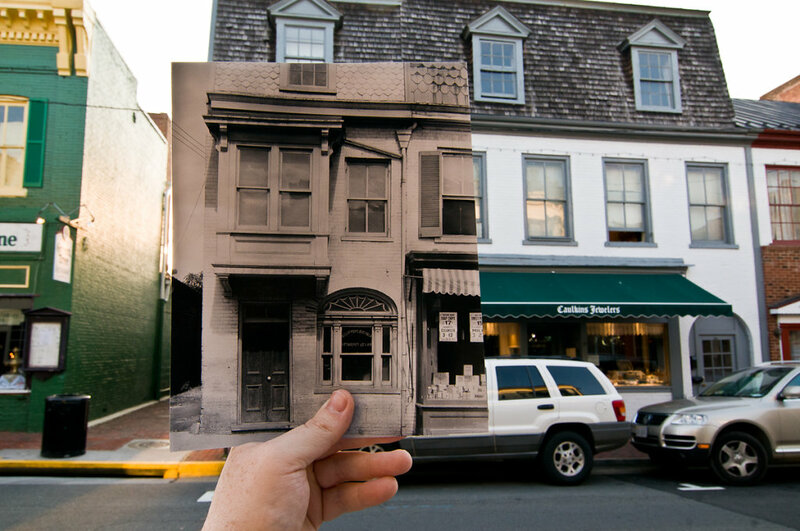 This building has undergone major changes since this shot was taken in 1933. It used to be Nichols Law Office and is now part of Caulkins Jewelers. The overhanging window is gone, the door is gone, and the roof is shingled differently. Thankfully, the original arched window is still intact.